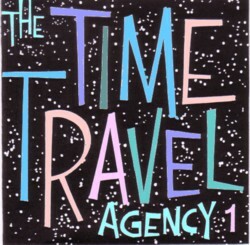 Many years ago I came upon the name “Time travel agency” . My first idea was to make a fake website, that exactly looked like the sites of ordinary travel agencies. It should look as if people could order tickets to travel to exact time locations in the past or the future. 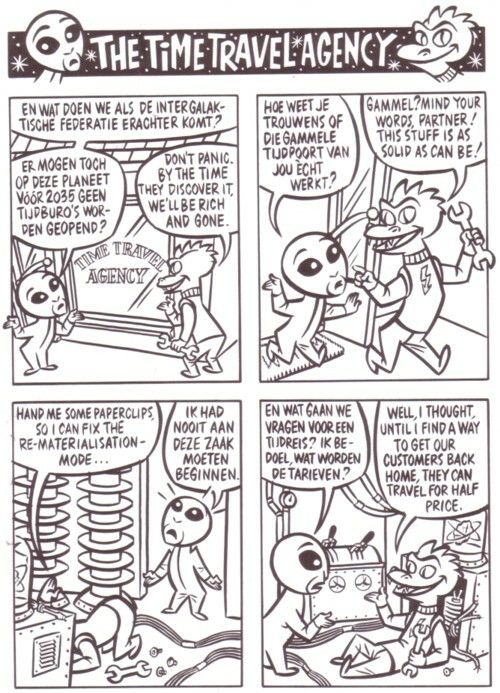 As you probably know by know I am fascinated by Time and all ideas about Time, including ideas about Time travel. There have been quite a few songs made about Time travel. I just finished a full length compilation CD with songs about time machines and time travelling. Apart from the fact that I like to listen to it, it is always exciting to know that a certain thing is done for the first time. Or have you ever heard of another CD with time travel songs? 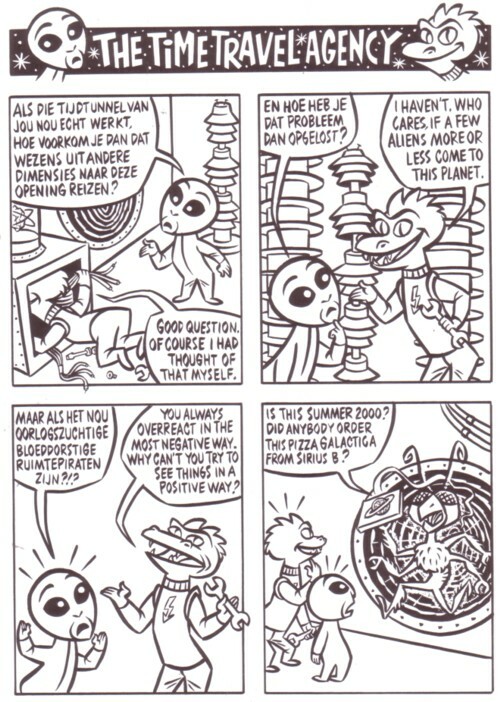 Heerlijke ‘BreinBreker’ strip en Pieter Dorrenboom’s Tekenwerk is (zoals altijd) Fantastisch en een Authentieke Time Travel tussen de jaren 50 en 2000! 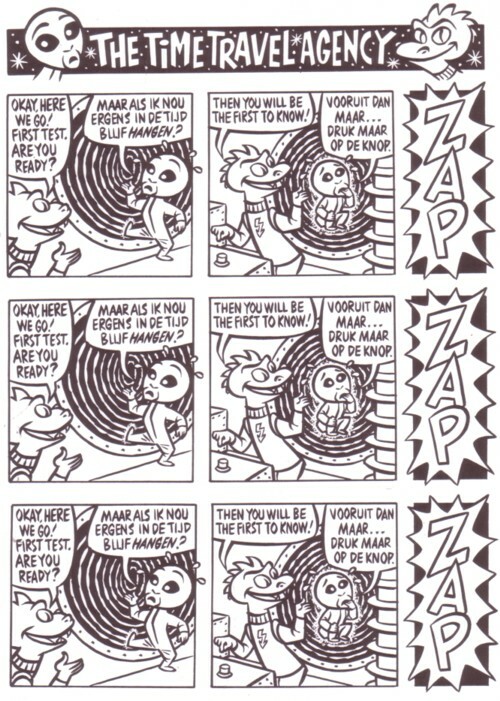 Wacht op Toekomstig verzameld Werk van jullie Beiden! Prachtig, ik zit ook net te genieten van de heerlijke soundtrack. mooi en meer meer meer van dit!! !